The Bank of Baroda is one of the most popular Banks in the country right now. There are so many different services that the bank is providing to the clients which makes it a popular choice for the people. There are thousands of people who have their account in the Bank of Baroda. This proves that the bank has a certain hold on the financial market of our country. So, there is no doubt about the fact that the services of Bank of Baroda are all for the welfare and convenience of the people. Amongst the different services, mobile banking or M-Banking is one of the most popular services that are offered by Bank of Baroda. 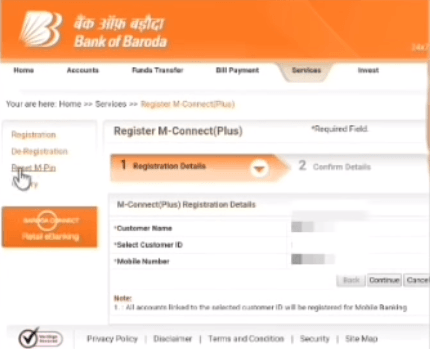 The users of Mobile Banking in Bank of Baroda have their separate MPIN which can help them in making transactions without actually going to the bank. This is one of the best things about the Bank of Baroda and that is why more and more people have their accounts there. However, there are many people who end up losing their MPIN or maybe they just don't remember it. This can be quite a big problem for the people as they won't be able to make any transactions without this particular MPIN. Well, lucky for them, the MPIN can be generated in a very simple and easy way thanks to the help of Bank of Baroda. Here we are going to discuss these steps in detail. Have you recently lost your MPIN for Bank of Baroda? That can surely be a great problem. There are many people who are suffering from the same problem as they aren't able to make any transactions due to that. However, there is a process of getting new MPIN very easily. There are some ways that people need to follow in order to get MPIN. With the help of these tips, people will easily be able to retrieve their MPIN in the best way without any hassle. The best thing is that you will be able to do it online as well. For those customers who have lost their MPIN and want to retrieve it in an easy manner, here are some of the important steps that they need to follow. Make sure that you read each and everything so that you don't miss out on the important details. 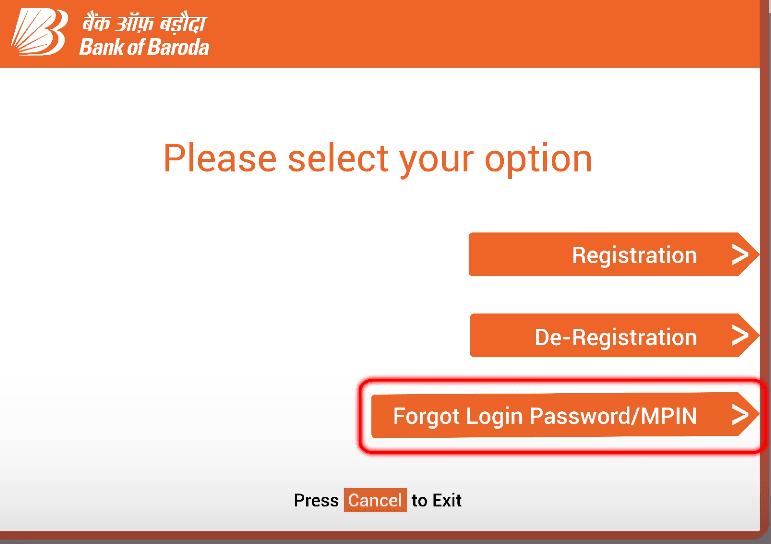 Step 1: First of all, you need to go to the Bank of Baroda official website. There you will be asked to enter user id by which you want to continue the process. It is important to note that people have to visit the official site and not anywhere else. The next thing that they need to do is provide their password for the account that they have. Step 2: Next click on the Services tab. After that, they will be directed to the list of services that are provided by the Bank of Baroda. From the list, they need to select the option of 'm-connect plus registration' and after that, they need to choose the option for reset MPIN. Step 3: Again you have to enter user id and the transaction password. click the Submit button. After that, the transaction will be successful and the MPIN will be sent to the mobile number. Also, It will be displayed on the net banking screen. Now open application using MPIN sent to your registered mobile number and set a new password for your application. Step 1: First visit nearby Bank of Baroda ATM machine and insert your Debit Card. Then choose the language of your choice on screen. Step 2: Now enter your 4-digit atm pin and click on the 'M-connect (Mobile Banking)' Option. Step 3: Now select the 'Forgot Login Password/MPIN' option. Now enter and reenter the registered mobile number. At the end choose saving account option. Your MPIN will be sent to your registered mobile number immediately. Visit your home branch with passbook and valid ID proof. Submit a request application to generate new MPIN to the branch. So, that is all you need to know about retrieving the MPIN for Bank of Baroda. Make sure to follow these steps to have the best results.